Hip arthroscopy is a surgical procedure that allows doctors to view the hip joint without making a large incision (cut) through the skin and other soft tissues. Arthroscopy is used to diagnose and treat a wide range of hip problems.During hip arthroscopy, your surgeon inserts a small camera, called an arthroscope, into your hip joint. The camera displays pictures on a video monitor, and your surgeon uses these images to guide miniature surgical instruments. Your doctor may recommend hip arthroscopy if you have a painful condition that does not respond to nonsurgical treatment. Nonsurgical treatment includes rest, physical therapy, and medications or injections that can reduce inflammation. 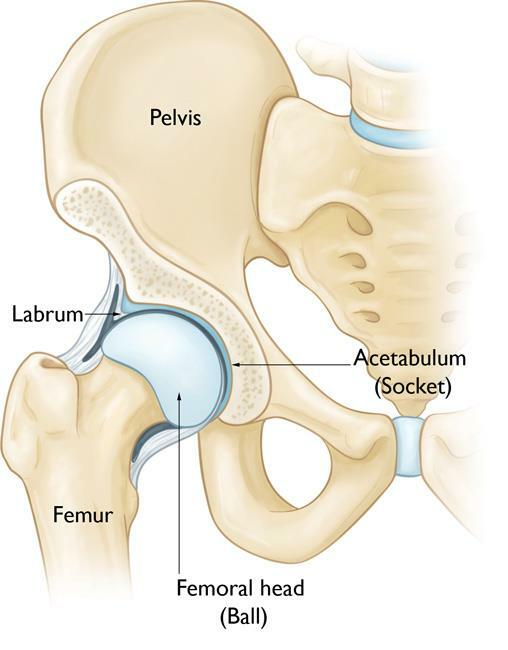 Femoroacetabular impingement (FAI) is a disorder in which extra bone develops along the acetabulum (pincer impingement) or on the femoral head (cam impingement). This bone overgrowth—called spurs—damages the soft tissues of the hip during movement. Sometimes bone spurs develop in both the acetabulum and femoral head. Dysplasia is a condition in which the hip socket is abnormally shallow. This puts more stress on the labrum to keep the femoral head within the socket, and makes the labrum more susceptible to tearing. 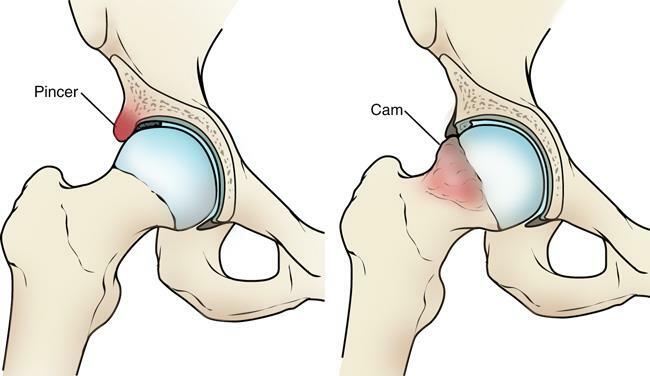 Snapping hip syndromes cause a tendon to rub across the outside of the joint. This type of snapping or popping is often harmless and does not need treatment. In some cases, however, the tendon is damaged from the repeated rubbing. Synovitis causes the tissues that surround the joint to become inflamed. Loose bodies are fragments of bone or cartilage that become loose and move around within the joint. This entry was posted in Areas of Expertise, Conditions and Treatments on January 23, 2019 by admin.